Happy Saturday everyone! I’m linking up with Farely for Currently! I am probably the only person who thinks January passed by super slow. So here is what I’m up to CURRENTLY! 1. My husband is out of town so I’m catching up on The Bachelor! He is normally good about letting me watch it but I try to be nice and watch it in the other room or wait until he’s not home. 2. I recently became a Jamberry Nails consultant! I am LOVING it! Here is my latest “Jamicure”! 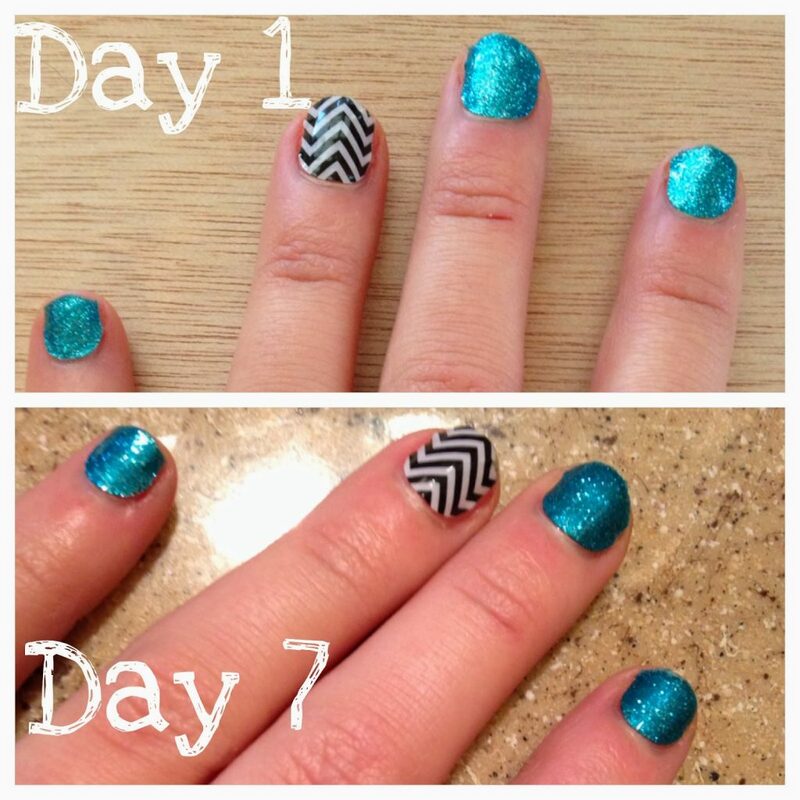 If your interested in learning more about Jamberry, shoot me an e-mail and I’ll be glad to send you some info! 3. My husband and I have started talking about what kind of vacation we want to take this summer. Our niece has the opportunity to play in a volleyball tournament at Disney World in July. If this happens, we will be going, then to Destin, FL after that! I’ve never been and think it would be so FUN!!! We will celebrate our 1 year anniversary in June and we are talking about a mini vacay to Nashville. I’ve got my fingers crossed on this one! 4. I’ve told Jared, all I want for Valentine’s Day is a massage. Like a 2 hour one! Can I get an AMEN?!? 5. I have started so many little projects lately. I need to just finish them. Jared built me a craft table 2 weekends ago and I have let to organize my craft room. You’d think I’d be all about that but I just haven’t. My sister in laws baby shower is next weekend and I have a ton to do for that. Ugh! I need to get off the computer! 6. Number 1 is TRUE! I cheered for 2 years in college. If you met me now, you would never guess that! Number 2 is FALSE: I actually hate to wear high heels. I own maybe 2 pair for special occasions. Number 3 is TRUE: I cannot roll my tongue, whistle ( I try so hard all the time. Jared is always making fun of me!) and I cannot wink. I can with one eye, but the corner of my mouth raises up like Elvis and it looks super funny. I can’t do it at all with my other eye. I get laughed at for this too! 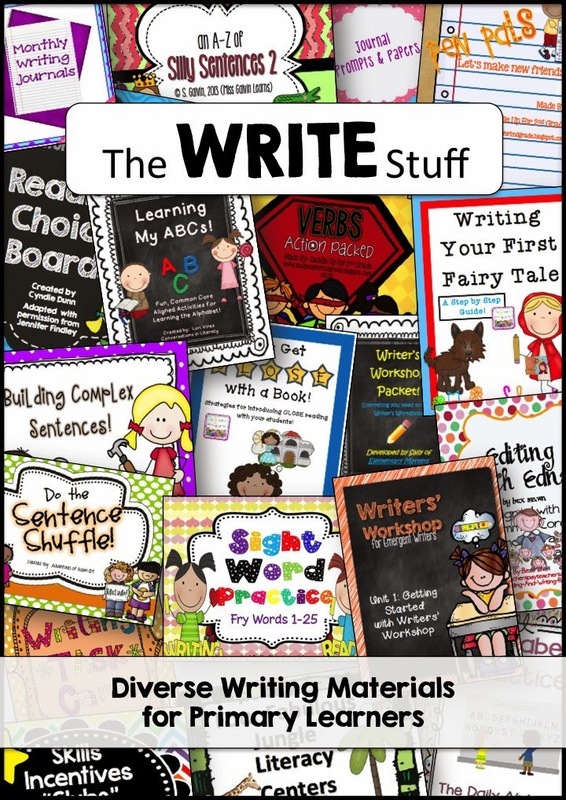 On a different note…have you checked out The Write Stuff Educents bundle yet? It includes 19 digital downloads to help you create the perfect writing set up in your classroom! Click here to check it out!